I love the boxy style of a purse. The structure screams sophistication. When I buy handbags I think longterm, not so much on trend. I love H&M bags because not only are they spot on with the current trends, but the quality is amazing. The bag I’m currently using is my H&M tote that I purchased over the Summer. I like to switch my bags in and out from time to time and when I do I just take my smaller bag (small brown satchel shown above) which holds my wallet, keys, etc. The tote is working out great right now since I’m carrying around my MAMBI Happy Planner on a daily basis. My wallet that I’ve been using for over 3 months now is my small coin purse from Coach (referred to as an ID card holder on the site) which was purchased nearly 10 years ago. One of my first Coach purchases ever. Well, from my parents. 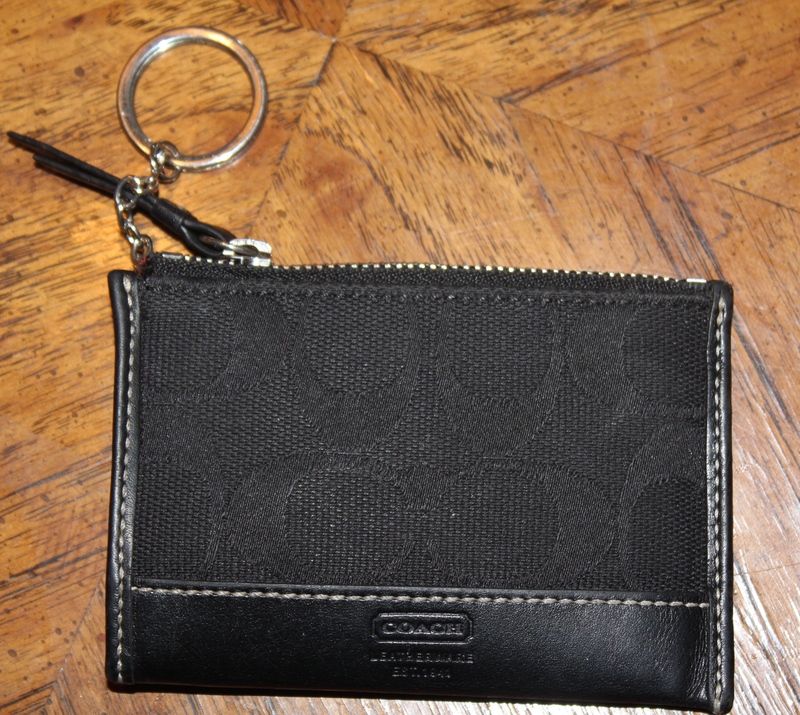 This coin purse holds my essential cards, has a little pocket to put coins or receipts, and some cash. You can purchase similar styles HERE. In addition to carrying my planner, I love carrying my Erin Condren notebook. I like to jot down my blog ideas and other projects that I want to get done in my house. It’s my brain dump notebook. 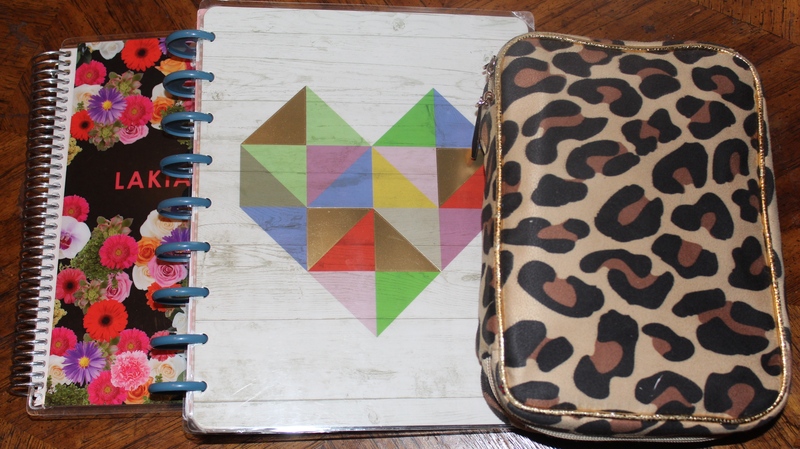 The leopard case holds my planner supplies such as my sharpies and stickers that work.